Welcome to the Moderator’s Guide. If you have any questions on how to handle rule-breaking, you’re in the right place. Before banning/kicking a user, make sure to take appropriate screenshots. You can get more information about how to take appropriate screenshots here. If you notice a user has been punished for breaking the same rule multiple times, contact an owner and consider banning them for a longer amount of time. Rule 1 – English is the only language allowed. If a user is speaking in another language, use the verbal warning (you can also private chat them for further information), if this continues, use the kick feature twice, and then ban. Remember, vendo, compro and greetings in other languages are allowed. Rule 2 – Be respectful and do not harass or discriminate. You do not need to use the verbal warning in this case, you can kick/ban directly. UNLESS the user says something minor such as “shut up”, in which case you would give a verbal warning and then kick or ban if they continue. Ban time: 4 – 12 hours. Really bad swearing such as f-bombs. Ban time: 8 – 24 hours. 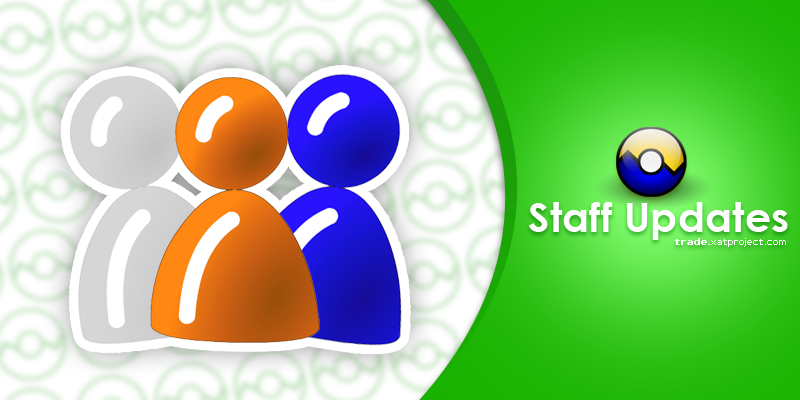 Rule 3 – Be respectful to the staff members. Let the user know that they should private chat an owner or message Sydno/Echo using the message feature. If they continue to complain in the main chat, kick them. If they continue after that, ban them. Ban time: 2 – 6 hours. Rule 4 – Do not request a higher rank. If a user asking for a rank, let them know they need to earn it and it’s against the rules to ask for one. If they still ask for a rank after that, kick and then ban them. Ban time: 1 – 2 hours. Rule 5 – Do not transmit inappropriate content. Different inappropriate transmissions require different punishments. Below is the action you should take for each situation. Transmitting sexualized images, smiley combinations, or stick figures: Ban for 24 hours. Discussion of highly dangerous or unlawful drugs (according to US/UK law): Ban for 4 – 10 hours. Pornographic images: Ban for 24 hours. Rule 6 – Do not advertise non-creative content or websites. If a user advertises non-creative content or websites in the main chat, ban them as instructed below. If they have an advertisement in their name or status, kick them and ask them to remove it. If they failure to remove the advertisement, ban them as instructed below. Ban time: 3 – 6 hours. If advertisement is inappropriate, ban for 24 hours. Rule 7 – Do not impersonate other users. This involves moderator discretion. If a user is impersonating as a joke they shouldn’t be banned as long as someone who has malicious intentions. Remember, it is not impersonation to just use the same name and/or picture as another user. Ban time: 1 – 24 hours. Rule 8 – Spamming is not allowed under some circumstances. Spamming names, greetings, and laughing is allowed. (Such as : Bryannnnnnn, hellooooooooo, hahahahaha) One line of smiley spam is also allowed. Any other major spams is not allowed. If a user has more than 6 smilies in their name, warn them verbally and give them a little bit of time to remove smilies. If the user still has more than 6 smilies in their name after they had a fair amount of time to remove some, follow the steps above. 1-3 caps are allowed per sentence only. (Owners are an exception) If they continue using more than 3 caps per sentence kick them or verbally warn, if they don’t stop then ban them. Ban time: 1 – 3 hours. Rule 9 – Do not beg or ask for free products. If a user is begging in the main chat or someone else’s private chat, kick them. If they continue, ban them for the time listed below. If a user is begging in your private chat, you may warn them verbally before kicking them, if you prefer. Rule 10 – False information and fake reports may result in a ban. This involves moderator discretion. If a user is unintentionally/jokingly providing fake information/help, warn them verbally and provide the correct information. If they continue after the verbal warning, kick them. If they continue after the kick, ban them. If a user is providing false information intentionally or fake reports, ban them. Ban time: 12 – 24 hours. Rule 11 – Do not disrupt the operations of the chat. General conversations are permitted as long as they don’t disrupt trading. As a moderator, you have to decide if a conversation is disruptive to the operations of the chat or not. If you feel as though a conversation is disruptive, kindly warn/ask the user(s) to end the conversation. If a user continues to disrupt the chat after asking them to stop, you may kick them. If they continue after that, ban them. Rule 12 – Do not troll, post inflammatory remarks, or facilitate drama. If a user is causing drama or trolling, warn them to stop verbally. If they continue to cause drama or troll after you warn them to stop, kick them. If they continue after the kick, ban them. Keep in mind it is considered trolling to buy powers for a ridiculously low price (ex: trying to buy ruby for 50k). Ban time: 2 – 8 hours. Ban time: 0.5 – 2 hours. Rule 14 – Selling or trading is generally allowed, with a few exceptions. Only trusted Resellers are allowed to draw signs to the sale of xats for off-site currency. If a user is violating this rule, kick them. If they continue after being kicked, ban them. Rule 15 – Selling identification numbers (ID) is not allowed. If a user is selling ID(s), kick them. If they didn’t remove that they are selling ID(s) from their name, status or continue to post messages in main, private chat or private message about it, ban them. Rule 16 – The use of Size power is restricted. . ]If you notice a user is using a smiley over size w7, kick them. If they fail to reduce the size or remove the smiley, kick them again. Ban the user if they don’t fix the smiley after the second kick. Rule 17 – Do not discuss hacking or related activities. If a user is discussing hacking related activities, ban them. If you think the user doesn’t realize it’s against the rules and what they said isn’t very bad, you may kick them once as a warning and then ban them if they continue. Ban time: 4 – 10 hours. Rule 18 – Making fun of users for purchasing xat products, or attempting to earn rank, is not allowed. If a user is making fun of someone, kick them and let them know why that isn’t allowed. If they continue to make fun after being kicked, ban them. Rule 19 – All visitors must use a name of reasonable length or size. If a user has an unacceptable name, verbally warn them to change it. Make sure to let them know what is acceptable and what is not. If a user hasn’t changed their unacceptable name after a fair amount of time kick them. If they still haven’t changed it after being kicked, ban them. Rule 20 – Moderators and owners have the final say in classifying offensive material. If the user has a complaint about another moderator, direct them to any online owner. 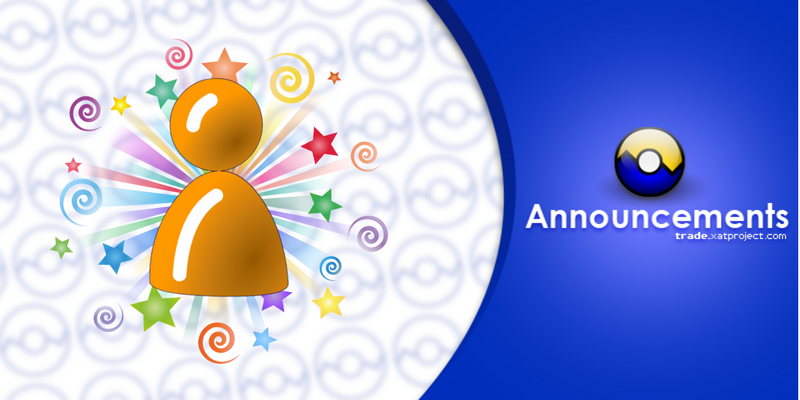 If no owner is online or they prefer to talk to Sydno/Echo, instruct them to use the message feature under the chat. Users complaining about staff in the main chat is considered disruption and is not permitted. See rule 11 for punishment guidelines. Rule 21 – Obey the xat Terms of Service and do not share confidential information. If a user is breaching the xat terms of service, get proof/take screenshots, ban them for as long as possible and send your proof to an owner. If a user is scammed, instruct them to open a ticket in the “report scam” category. You may open a ticket if the user prefers and you believe there is sufficient proof. Point 1 – A full reason is required for each kick and ban. Whenever you kick or ban someone, include the full reason, so the user knows what they did and why it isn’t allowed. Many times users break rules unintentionally, by providing a full reason, they have the ability to avoid further offenses. The exception to this rule is if a user is ban evading or raiding. Owners may also mute without including a reason, because users cannot see when they are muted. Point 2 – Moderators are required to take screenshots of their bans. Sometimes, users ask why they were banned/kicked, without proof, other staff members would not be able to explain to a user what they specifically did that resulted in them being banned/kicked. Owners also regularly check events and depend on screenshots to make sure kicks/bans are justified. Screenshots also help owners when they are looking into a certain user, whether it be considering them for staff or planning to ban them for a long period of time. Point 3 – If a raid is occurring, use the /p protect mode. If that fails, use the /pr mode.. Raids are very rare on trade, because it is a subscribers only chat. However, if there is one, using /p usually stops it. In the very rare instance where /p doesn’t work, use /pr, which makes the chat registered users only. Point 4 – If a user breaks a rule while seeking assistance, give them more leniency. If someone is asking you for help and they accidentally break a rule, consider giving them a warning instead of a kick, so that you can solve their problem in a timely manner. Point 5 – Include rule violation information in kick reasons so that users can correct their behavior.. As stated in Point 1, users need to know why they were kicked so that they know what the rule is and how to avoid breaking it. Point 6 – If a user is testing smilies on the chat, then direct them to xat_Test to test smilies. This is not a testing chat. It is disrupting if a user is testing smilies, so they are directed to xat5, where it is appropriate to test. Point 7 – Unprofessional conduct at other chats may put you at risk for getting demoted at Trade. As a staff member, you represent Trade and your fellow staff. By behaving inappropriately at other chats, especially official ones, you risk the reputation of your fellow staff and Trade. Failure to behave in a professional/appropriate manner can lead in demotion, so hold yourself accountable and watch what you do at other chats. Point 8 – You must be active in order to maintain your position. Over hundreds of users use a day use Trade. Staff are needed to be as active so they may keep order and punish rule breakers. Activity isn’t just measured in events, so do not kick/ban people just for the sake of gaining events. If you are going to be inactive for a long period of time, let an owner or main owner know. Point 9 – Consult a user of equal or higher rank when deciding to demote someone. This mainly applies to owners. If you are concerned about a staff member’s behavior, consult another staff member before taking action, because they might have a different opinion or more information. It is also wise to consult the rules and this guide. If something is clear and blatant abuse, you may demote them right away. Point 10 – Do not ban for long periods of time for measly reasons. Do not ban someone if they break a minor rule and leave the pool/chat. Consult this guide when banning users, banning someone for extremely long periods of time for measly reasons is not acceptable and can result in you being warned and then demoted if you continue. Be fair, how would you like it if a moderator banned you for 24 hours for accidentally flooding the chat. Point 11 – Do not kick banned users unless they are rapidly clicking you. Banish is assigned, but sometimes banned users remain in the main pools (like when they are muted). Banned users in the main pools can’t do any harm. The only time kicking a banned user is when they rapidly click you, because that makes it harder for you to do your job and it easily resolves the situation. Point 12 – Bans issued by the bot should be verified. A lot of the time the bot bans someone because they made a typo or for another unfair reason. Whenever you see the bot ban someone, type !mp in the chat and it will explain why that user was banned. If it is an unfair ban, use the command !unban to instantly unban them. If you are unsure if a ban is unfair, consult another staff member. 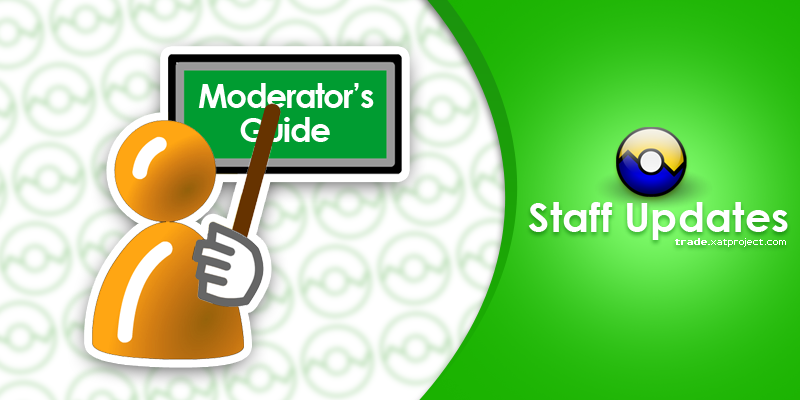 Point 13 – Moderators are required to give proof for violations that occur in the moderator’s private chat. This corresponds with Point 2. Screenshots are always required but it is critical you include screenshots for violations in you private chat. If you do not include screenshots Owners have no way of knowing if the incident even occurred. Point 14 – Flaming in private chat. If an unregistered or registered user is flaming another user in private chat, then a moderator should ban with sufficient evidence; screenshot of the conversation and identification numbers (ID) and ban for it. 1 – 2 hours or more depending on on the context. Point 15 – If you are away or busy, please move to the staff pool. If you are AFK and not watching the chat you need to go to the staff pool. This way owners know if they need to make temporary moderators to watch the chat. If you aren’t in the staff pool, you are accountable for the users in your pool and are responsible for punishing rule-breakers. Point 16. Do not kick/ban for words such as “a – mi – c/u” seeing as it’s very minor. Kindly private chat the user and explain to them in a nicely manner what to change. Also remind them to use the translator if they don’t know how to speak English. Point 17. Users excluding people from buying their power is not allowed. Example “Selling (gold) no Mexicans” or “Selling (gold) no Bryan” it’s rude and disrespectful, and you should take action. Ban time 6 – 12 hours. March 13, 2016 cupim Comments Off on Clarifications On Minor Things!